A former Arrowhead Elementary School teacher accused of inappropriately touching students was in Delaware County Common Pleas Court Monday, trying to suppress evidence obtained from his classroom. 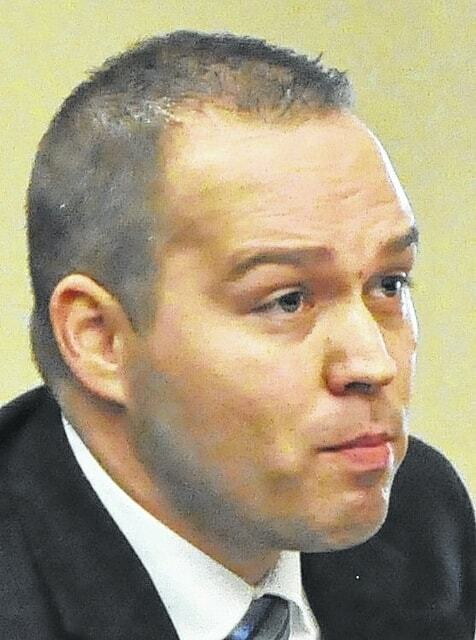 Matthew Rausenberg, 40, of Columbus, was in Judge David Gormley’s courtroom Monday morning along with his public defender, Thomas Waldeck, for a hearing on two motions to suppress evidence that were filed by his previous attorney, Richard Mayhall, in late July. The motions to suppress deal with the day of Rausenberg’s arrest, March 16, and whether Rausenberg was coerced by investigators and whether investigators had the legal right to take a cellphone belonging to Rausenberg. Detective Jason Campbell, a special investigator at the Delaware County Sheriff’s Office, was present to testify about the execution of the search warrants at Arrowhead Elementary on March 16. Campbell said the case had been referred to him by detectives at the Columbus Police Department after a 16-year-old at a youth camp told counselors that Rausenberg had touched her when she was a student at Arrowhead Elementary between 2006 and 2010. After speaking to the girl, Campbell obtained several search warrants for Rausenberg’s home in Columbus and his classroom at Arrowhead. Delaware Municipal Judge Marianne Hemmeter signed off on the warrants which included Rausenberg’s cameras, computers and other digital storage devices. Campbell said he, along with other investigators, went to Rausenberg’s classroom on March 16 at about 4 p.m. after all the students had gone and asked Rausenberg if it was OK if they took his electronics, after showing him the warrant. Campbell said Rausenberg consented to the search and provided investigators the necessary passwords to access the devices. Campbell also said that an iPhone 4 was found in Rausenberg’s bag that contained evidence in connection with the case. Waldeck argued that the interview was actually an interrogation and that Rausenberg should have had his Miranda rights read to him. Waldeck continued that the seizure of the iPhone 4 was unlawful because the warrant did not list cellphones. Campbell argued that phones are considered digital storage devices and are thus included in the warrant. After hearing both sides of the motions, Gormley said he would take some time to review the evidence and submit a formal ruling in writing. Rausenberg is charged with a total of 34 charges of gross sexual imposition, five charges of kidnapping, and three charges of pandering sexually oriented material. He is scheduled for a jury trial on Jan. 19. Delaware County Prosecutor Carol O’Brien, who has said she will personally prosecute the case against Rausenberg, says Rausenberg faces life in prison if he is convicted of all charges. Rausenberg was being held in the Delaware County Jail Monday afternoon. Rausenberg (left) with his attorney Thomas Waldeck at Monday’s hearing.